The folks at flippity.net have released a random name generator that can be created by making a copy of this Google Sheet. 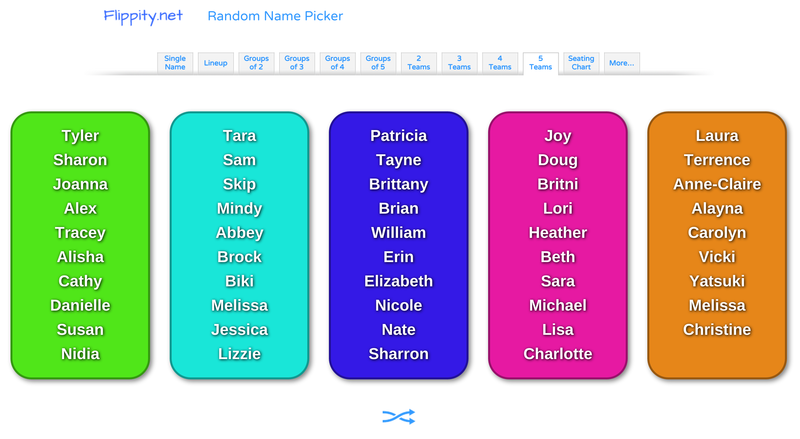 It allows a teacher to randomly choose students individually, assign random groups, or assign random teams. I see this as a great time saver allowing students to work with a group of their peers they may not normally be accustomed to working with. Below is a screenshot using a random assortment of intelligent individuals that have been sorted into 5 teams. Click on the image below to check out the various options. Click here to for directions explaining how to create your own!